Paper Doll Romance: Back to School Bags! We're not sure how many of our readers are going back to school this fall, and even though back to school shopping is a fond memory for us, we still can't help posting about it. For starters, everyone knows that back to school means getting a new bag. 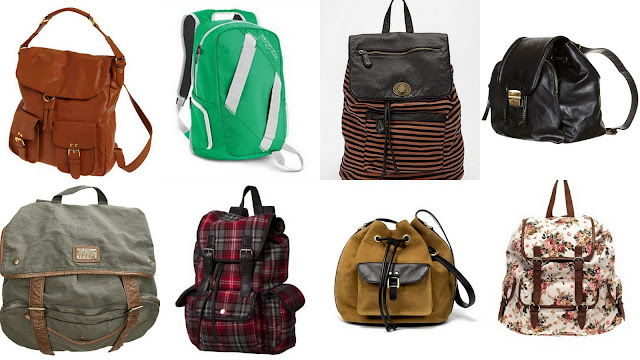 Now call us old fashioned, but we're into book bags again. And we're not talking your old school 6th grade Jansport (although you will see some Jan Sport in the mix). We're talking some truly stylish pieces that will make you wish you were back to school, roaming the halls, skipping classes... ahhh the good old days!